Exome sequencing is a targeted sequencing approach that is restricted to the protein-coding regions of genomes. The exome is estimated to encompass approximately 1% of the genome, yet contains approximately 85% of disease-causing mutations. 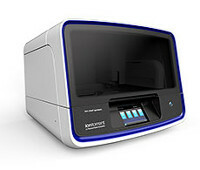 It identifies the genes implicated in over 6,800 rare diseases, exome sequencing enables rapid, cost-effective identification of common single nucleotide variants (SNVs), copy number variations (CNVs), and small insertions or deletions (indels), as well as rare de novo mutations that may explain the heritability of Mendelian and complex disorders. 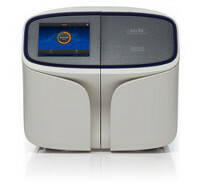 KRISP leverages the ultrahigh-multiplex PCR approach of Ion AmpliSeq technology and the superior accuracy of the new Ion S5 Sequencing Solution allows for rapid, accurate sequencing of key exonic regions of the genome, going from DNA to variants in just a few days.